The next generation of conversion kits from CAA USA. Improved our past generation models into the ultimate conversion kit. 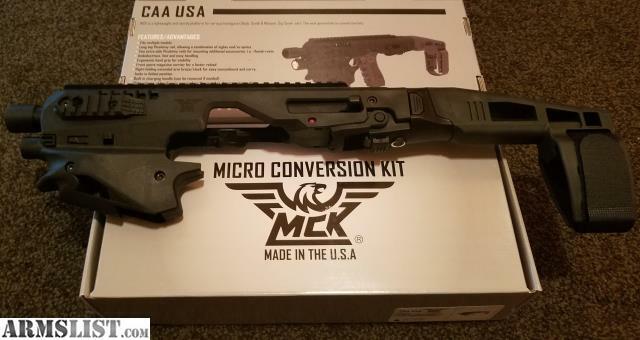 MCK (Micro Conversion Kit) is a lightweight and sturdy platform for various handguns (Glock, Smith & Wesson, Sig Sauer, etc) it has a barrel shroud made of aluminum with a polymer body. The stabilizer enables one-handed firing for better shooting performance. It also comes with a Velcro® strap fastener which provides a custom fit to any user. It is the most cost effect conversion kit in the world. 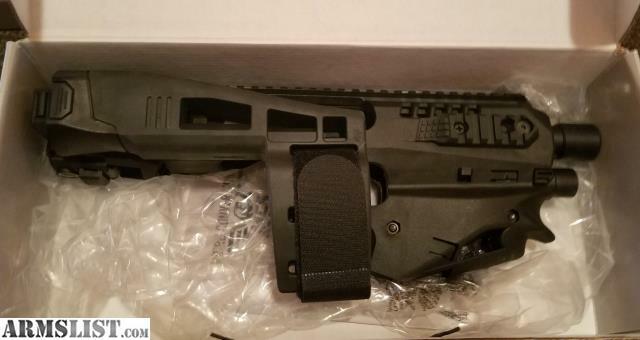 Fastest assembly / disassembly conversion kit on the market. Improving accuracy dramatically up to 200 yards. 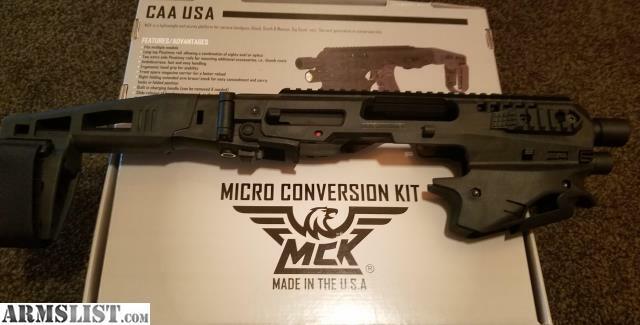 MCK comes in two version, one is a NON-NFA product (with standard long stabilizer brace), and the other is a NFA product (with stock).